Prince of Persia: The Sands of Time is a 2010 fantasy–adventure film written by Jordan Mechner, Boaz Yakin, Doug Miro, and Carlo Bernard; directed by Mike Newell; and produced by Jerry Bruckheimer. The film is loosely based on the 2003 video game of the same name, developed and released by Ubisoft Montreal. The film stars Jake Gyllenhaal as Prince Dastan, Gemma Arterton as Princess Tamina, Ben Kingsley as Nizam, and Alfred Molina as Sheik Amar. 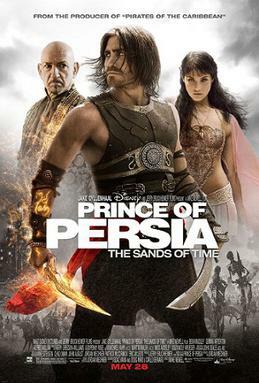 Despite the film being primarily based on The Sands of Time, elements from Prince of Persia: Warrior Within and Prince of Persia: The Two Thrones are also incorporated.